With over 100 million users worldwide, MyHeritage is the leading service for family history and DNA testing. Using the most advanced technology at an affordable price as well as offering a comprehensive percentage breakdown of your ethnic orgins, there is no reason not to start finding out your family story today. Browse the MyHeritage range via the 'Shop Now' button to earn Cashback on all of your DNA testing purchases. 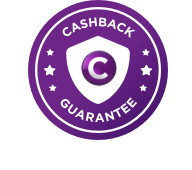 Complete package cashback is only eligible on subscriptions of the 14 day trial.